On my first lesson I got splattered..
On my third lesson I got splattered, wrenched, and choked.. I stuck with it and now a couple of years later I am doing my own fair share of splattering, choking, cranking etc. 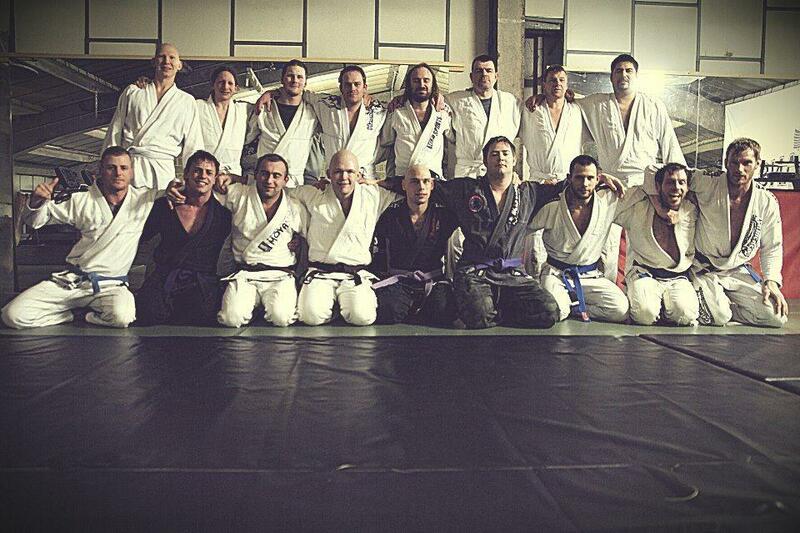 with a truly cracking bunch of guys at Carlson Gracie Revolution Team Ashford. This sport truly is life changing, physically and mentally. It make you very fit, very quickly. It shows you your body's strengths and limitations. It teaches you about how you handle pressure, competition, pain, stress and defeat. It teaches you humility and that the knowledge is a more powerful weapon than pure physical strength alone. Get involved with Carlson Gracie Revolution Team at a number of locations in Kent and London. If you are in the Ashford area, come train with us! Here is the link for more info..